Cinnamon is a tasty spice that is full of medicinal properties that can help alleviate many ailments. Cinnamon spice has antimicrobial, antioxidant, and anti-inflammatory properties that promote good health. What is cinnamon good for? Cinnamon powder helps to protect your cardio health, prevent infection, boost your immunity, and prevent infection. Apart from adding cinnamon spice to your food to get its health benefits, you can also drink cinnamon tea. Cinnamon tea made from a cinnamon stick or cinnamon powder is a delicious healthy drink that you can consume daily. In this article, you will learn what science says as to the many reasons why cinnamon is good for your general health. You will also find easy recipes to make your own aromatic cinnamon tea at home. Cinnamon is made by drying the inner bark from the cinnamon tree. This creates hard cinnamon sticks or rolls. Cinnamon powder is made by grinding the stick into a fine powder. Cinnamon is also available in capsules. There are 2 main types of cinnamon that are used for medicinal and culinary purposes. The other type of cinnamon, cassia Cinnamon, is generally cheaper than Ceylon cinnamon. However, cassia cinnamon tends to retain its flavor better during cooking. Other types of cinnamon used for commercial purposes are Saigon and Korintje cinnamon. Ceylon Cinnamon VS Cassia Cinnamon – Which One Is Better? Ceylon cinnamon (Cinnamomum verum or Cinnamomum zeylanicumis) also known as “true cinnamon” is native to Sri Lanka. Cassia cinnamon (Cinnamomum aromaticaum and Cinnamomum burmannii) also known as “Saigon cinnamon” is native to Burma and also grown in China and Vietnam. You are more likely to find cassia cinnamon in the United States and Canada due to its cheaper price. Ceylon cinnamon is typically more expensive than any of the cassia versions, but it’s more closely associated with the potential health benefits of cinnamon. So for people who are cinnamon lovers and consume large amounts of cinnamon, Ceylon Cinnamon is the best choice. Ceylon cinnamon has a sweeter and more delicate flavor whereas cassia cinnamon is slightly darker in color and has a stronger flavor. The problem is that there is no way to distinguish between Ceylon cinnamon and cassia powders. So when you purchase cinnamon powder, try to find on the product label the source of the cinnamon or call the customer service or manufacturer to find this information. If you buy a cinnamon stick, Ceylon cinnamon has a different appearance than cassia stick. The bark of Ceylon cinnamon is thinner and the stick will show multiple layers of a thinner bark. Cassia stick, on the other hand, is thicker, comes in one piece and doesn’t show multiple layers of any kind. You can easily make cinnamon tea by mixing cinnamon powder or infusing cinnamon stick in boiling water. The best way to make cinnamon tea is to mix a little hot water with a teaspoon of cinnamon powder to make a fine paste. Then gradually add more water to make your delicious, caffeine-free cinnamon tea. At the end of the article, you will find out how to make a tasty hot cinnamon beverage using a cinnamon stick. Starting your day with a delicious cup of cinnamon tea is good to boost your immunity because cinnamon contains a lot of antioxidants. Further reading: learn about an additional 9 antioxidants that help to keep your body healthy. Cinnamon tea is good for helping to reduce inflammation in your body due to the compound cinnamaldehyde. You can learn about other essential oils that have an anti-inflammatory effect on the skin. The antibacterial and antifungal components in cinnamon tea can help to keep you free from infection. Consuming cinnamon tea every day is a good way to boost your cardio health and help prevent heart disease. Further reading: the best foods and herbs to improve your cardio health. The anti-inflammatory and antimicrobial activity of cinnamon means that consuming a warm cup of cinnamon tea is an excellent way to help improve your digestive health. Learn about other ways to improve your digestive health and prevent diarrhea or constipation. The antibacterial effect of cinnamon means that drinking cinnamon tea can be good for you if you suffer from stomach ulcers. Not all studies are conclusive on the fact that cinnamon can help eradicate H. pylori infections. A small pilot study involving 15 adults with gastritis or duodenal ulcers received 80 mg cinnamon extract a day. There was little change in their symptoms. Learn about other scientifically-proven methods of treating an H. pylori infection. Cinnamon stick tea is good to drink if you have diabetes because it helps to improve insulin sensitivity. Also, consuming cinnamon powder is beneficial for diabetics because it is low in carbs and high in fiber. Further reading: Other foods that can help manage type 2 diabetes naturally. One of the cinnamon tea or powder health benefits is that it prevents sharp rises in levels of glucose in the blood. If you are trying to lose weight, drinking cinnamon tea can help to boost the effectiveness of your weight-loss diet. If you want to lose belly fat quicker, find out how ginger can help you lose inches from your waistline. You can use cinnamon sticks to make an antioxidant-rich cinnamon tea that helps boost cognitive function. Learn about other supplements that have been proven to help delay the onset of Alzheimer’s. Because cinnamon tea has such a positive effect on the health of your brain, it is no surprise that cinnamon can help relieve depression and anxiety. If you suffer from depression and anxiety issues, learn about essential oils that can help relieve feelings of depression. Apart from consuming more cinnamon powder to boost your mood, you can also find out about other foods that help to boost your mood. A cinnamon drink made from cinnamon powder or stick can help improve your bone health and may prevent bone fractures. Learn more about what you can do to prevent osteoporosis and the effects that vitamin D has on bone health. Regularly taking cinnamon tea or increasing the amount of cinnamon in your diet is good to help manage the symptoms of certain autoimmune conditions. Learn how to spot the signs of an autoimmune disease and find out how what to do. One of the health benefits of consuming cinnamon tea regularly is that is can help to prevent the visible signs of aging. Learn about the main causes of premature aging of your face and what foods you should eat to prevent wrinkles. Cinnamon powder tea contains many compounds such as antioxidants and anti-inflammatories that have anticancer potential. Of course, there is still much research to be done on using cinnamon bark extracts in the treatment of various cancers. However, there are promising results from lab trials on using cinnamon in cancer treatments. To get the many health benefits of cinnamon, you can put a 3-inch long piece of Ceylon cinnamon stick in a pan of water. Bring the water to the boil, cover the pan, and simmer for 15 minutes. Take off the heat and leave to stand for 20 minutes. Your delicious cinnamon tea is now ready to drink. Pour the tea into another cup, add a teaspoon of raw honey, and enjoy all the health benefits of cinnamon tea. Another option is to mix 1/2 tsp. cinnamon powder in a glass of hot water. Let it infuse for a few minutes and drink to enjoy the medicinal health benefits of cinnamon. You can also add ground cinnamon to other drinks like green tea, smoothies, and hot cacao drink. How Much Cinnamon to Take Daily? According to the ASPCA, cinnamon is non-toxic to dogs, cats, and horses. (48) But don’t feed your dog a large quantity of cinnamon as it may leave your pet with an upset stomach. Cinnamon is a delicious spice that most people can use safely without any adverse side effects. If you are taking medication for blood pressure or diabetes, you should monitor closely your conditions if taking cinnamon tea for therapeutic purposes. I put the actual sticks into a coffee grinder-pure cinnamon. Cinnamon is normal food quantities is OK (Ceylon Cinnamon is the best). Avoid taking concentrated amounts of cinnamon. Also very beneficial to dental health due to anti bacterial properties. I buy cinnamon at the dollar store and got into the habit of adding it to my green tea which is also supposed to be good for your teeth. Boost of antioxidants is a bonus and it tastes great! Really a must for type 2 diabetes. ……try it……very helpful. …brings back to normal. ……remember. ..diet &exercise. …is a must…..
I’m personally experiencing the liver damage effect of eating too much for the cheap cinnamon… I had no idea I would wind up in so much pain. My beloved Mother used to make a poultice of cinnamon, nutmeg and clove applied to our chests when I had severe chest congestion. After applying the poultice she would wrap a cheesecloth/gauze wrap all the way around my chest and into bed I went…after a few hours of good sleep your congestion loosened up, I was then able to cough up the mucus. Much relief was given to me by my sweet Ma and her poultice and TLC. 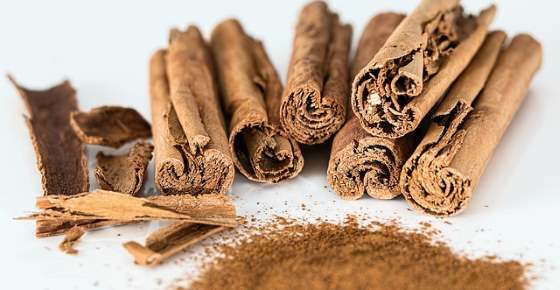 One word of caution: The cinnamon that you can buy in the grocery stores is not cinnamon, but rather a mixture of sawdust, starch and flavoring. Get the real thing at a food co-op or other natural foods store. I am not sure just what the quality of Watkins is. I live in Alberta, Canada. So I was wondering where I can buy Ceylon cinnamon. Generally speaking, some health food stores have Ceylon cinnamon sticks which you can grind at home. Also some Indian shops may have it. I even found that my local supermarket sells Ceylon cinnamon sticks which was quite a surprise.